I've been dying to have the time to put together my November Paper Pumpkin Kit and to design some alternative ideas for you if you weren't thrilled with the designs in the box. 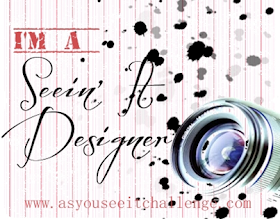 Today I was able to make that happen! First, Paper Pumpkin is Stampin' Up! 's subscription service. 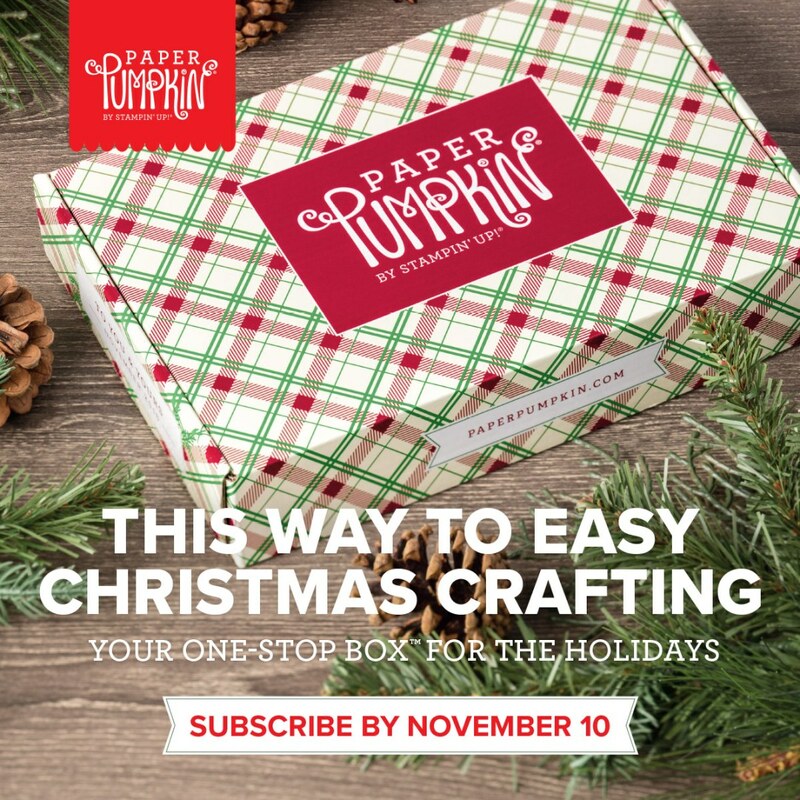 Once a month, for $26.95 a month, you'll have a small box of creative delights delivered to your home with everything you need (minus scissors & bone folder) to create a papercrafting project you'll be proud of. It's perfect for the crafter who has very little time, or space to devote to papercrafting, or for a mom or dad to do along with their child. November's project, of course, was all about Christmas, with a specially designed box and enough material to make 10 Christmas cards. They feature bright red or cream based plaid designs, die cut fir branches, sentiment panels to be stamped and some braided linen trim just like in the Holiday Catalogue only in Cherry Cobbler instead of Crumb Cake. 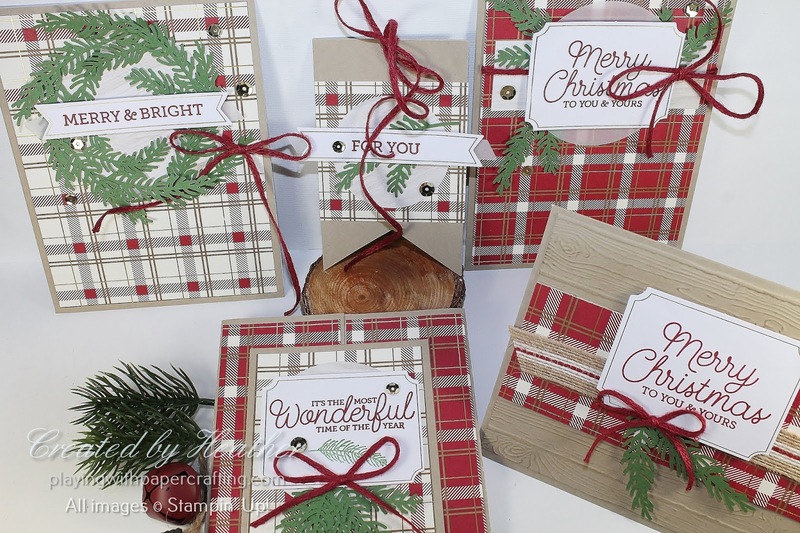 There are gold, self-adhesive sequins and envelopes with plaid envelope liners. There is also wood grain sticker pieces and vellum pieces. They were quite easy to assemble and didn't need a lot of pouring over the instructions or even watching the Paper Pumpkin How To Video for November 2018. For this one, I turned a card base sideways and added a panel of Crumb Cake, 5 1/4" x 4", which I ran through the Big Shot using the Pinewood Planks Dynamic Embossing Folder and sponged with Soft Suede to help the grain show up better. I cut one of the red plaid papers in half and added it to the the Crumb Cake panel and placed a strip of the 5/8" Striped Burlap Trim over it using some Fast Fust to hold it. I added one of the larger sentiment panels I stamped with Dimensionals, under which I'd attached a couple of pine boughs. A bough of the Cherry Cobbler Braided Linen Trim finished it off. I trimmed one of the card bases from the crease to the edge at 2 1/2" and folded it in half. I cut a piece of the cream plaid to fit on it after notching the bottom end. I used the 2" Circle Punch to reduce the size of one of the wood grain circle stickers and stuck it onto the plaid paper. 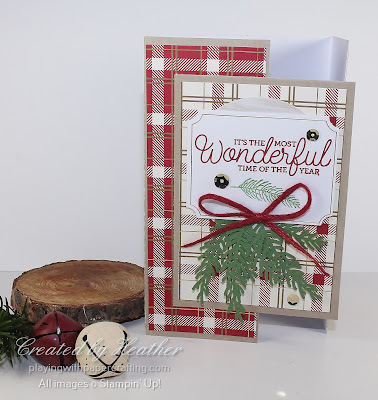 Just one of the die cut pine boughs was added using a glue dot, and a stamped sentiment strip was placed using dimensionals. The Cherry Cobbler Braided Linen Trim was used as a tie to attach the tag but first a decorative bow was tied at the top. Sequins added the final touch. 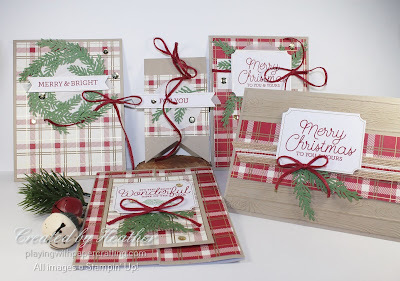 The last alternative is a gate fold card which uses up the left over card base and cream plaid from the gift tag above. Instead of folding the card base as shown, I folded each side toward the middle and crease them. Then I added two strips of the red plaid paper, one on each side of the middle opening. I added the cream plaid to the left over panel of the card base from the tag and glued it on the left side of the card front only.The 2" Circle Punch reduced the size of the wood grain sticker to fit this panel and on this I added 3 pine boughs with glue dots. The sentiment panel was added using Dimensionals and a little bow with the Braided Linen Trim in Cherry Cobbler. The sequins finished it off. Hopefully, you can see the gate fold a lot better in this photo. 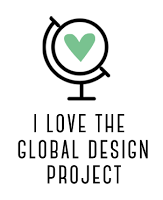 I'm hoping that gives you a few more ideas. 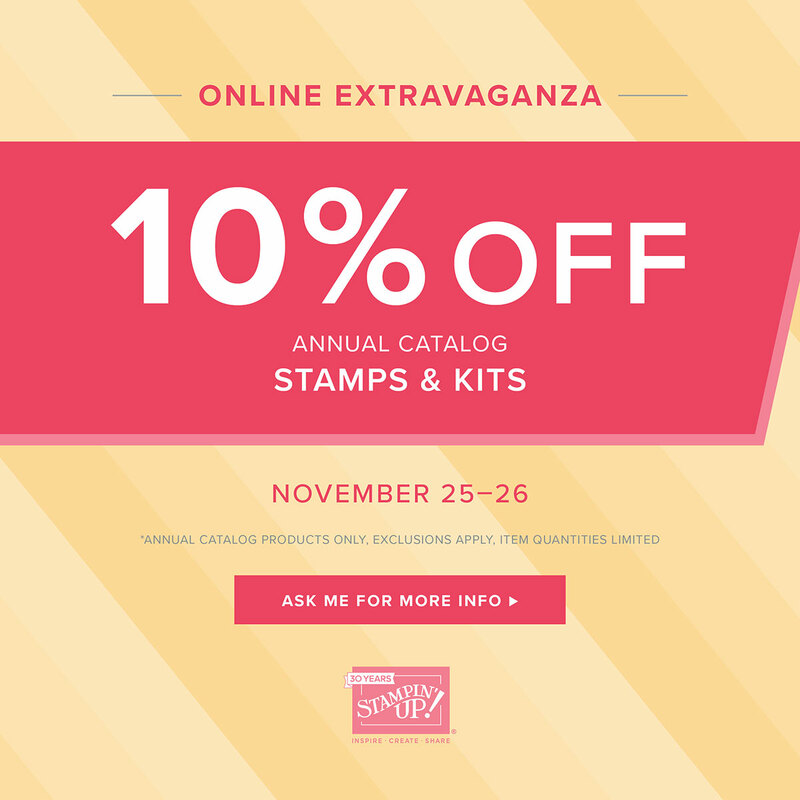 Today is the last day of the Stamps and Kits portion of the Online Extravaganza Sale! 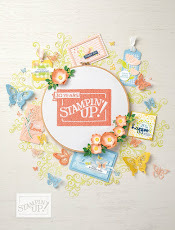 You can get kits and stamp sets from the Annual Catalogue only at 10% off today only. Tomorrow will be Tools and Ink for the last of the 3 sales. 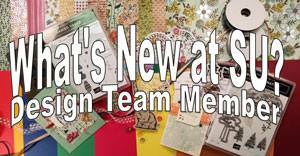 In today's sale the excluded items are any Paper Pumpkin kits, all Bundles and any Host stamp sets. Shop in my On-Line Store or message me to put in an order. Alpine Sports Let It Snow! Stampin' Up! 's 30th Birthday Onstage is Over!